IF there was a statement that sums up the Facebook revolution for a lot of people, FACEBOOK RUINED MY LIFE would be it. You’ve been there with me, agonising over how to successfully hide a break-up, been found by people who should have remained lost, been stalked by these people, and just when you think you’ve blocked them, there’s an email demanding an explanation why. Well, Facebook hasn’t ruined my life YET, but it did push me into the arms of Twitter. And because I like to wear my heart on my sleeve, I found a watch company that shares my sentiments. 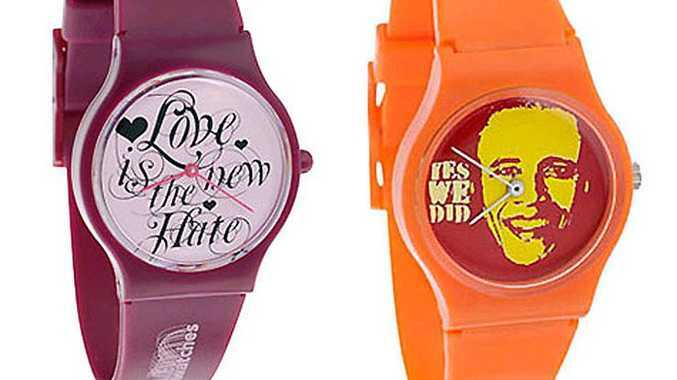 Normal Watches serves up succulent slices of pop culture trends for less than $20 a piece. For fellow social networking junkies there is even a watch to tell you it’s tweet-o’clock! So time to ‘flickr’ your eyelashes at your sweetheart on You Tube, you Digg? For more funky products check out Lost at E Minor.